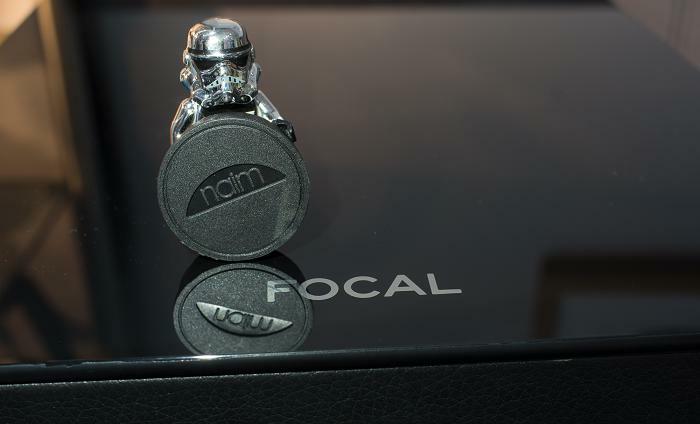 Focal & Naim Come Together for an Exclusive Offer. Naim have teamed up with their partners, Focal, to offer customers in the UK a special introductory price on the new Focal Aria 906 and Aria 926 loudspeakers with their award-winning NaimUniti 2 all-in-one player. Both the floorstanding Aria 926 and the more compact Aria 906 are perfect partners for the NaimUniti 2. Together they can create a simple, stylish music system which will deliver high-end sound quality from your network, digital music sources and CDs. Focal Aria 926 on the left and the Focal Aria 906 above. Naim Uniti below was revitalised and relaunched as Naim Uniti 2 in 2012. With a new 70W integrated amplifier (NaimUniti 50W) the NaimUniti 2 can accommodate a wider range of loudspeakers and fill even larger rooms with the extra power. It also a boasts an entirely new CD player section, with improved tray, clamping mechanism and the new Burr Brown PCM1793 DAC. The new inverted dome TNF tweeter on the Aria 926 and Aria 906. Check out Focal's spec sheet here. Flax cones are designed and manufactured in France, from french flax fiber. France is the main cultivator in Europe of fiber flax, principally in Flanders, Picardy, Normandy and the Pas-de-Calais region. French flax is considered the best in the world. Take a look at Focal's website here for more information on this new cutting edge material know as Flax. Fit and finish from Focal on the Aria range is really quite special considering the price. That's leather on the front and back! The mirrored glass top plate completes the high quality finish of the Aria. The following system offers are available for a limited period from Audio T Manchester.